10-12-2018 - Two Harbors MN - Split Rock Lighthouse was built in response to the great loss of ships during the famous Mataafa Storm of 1905, in which 29 ships were lost on Lake Superior. One of these shipwrecks, the Madeira, is located just north of the lighthouse. 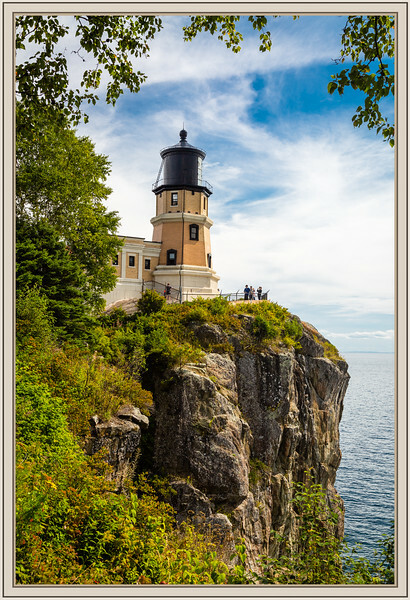 Beautiful shot of a lighthouse on a very beautiful spot !! Very nicely taken shot !! Great comp on this old lighthouse. That is a lovely old light house, and the architecture is unusual - at least to me it is. Great shot! Lovely composition and great shot of the lighthouse. Great capture and yes I do remember.